Does Tori Spelling Have EBOLA? Tori Spelling has been hospitalized at Cedars Sinai Hospital and placed in insolation with a myriad of symptoms, including fever, severe coughing and trouble breathing. Although Spelling is being handled like an Ebola patient, she is not believed to have the killer virus. Spelling was quarantined from other patients, and medical staff took the precautions over the actress’ infectious state. Tori Spelling is stressed out and seriously on edge.. So-much-so the actress abusively lashed out at her young son while exiting a Target store, berating at the boy for no apparent reason until he wilted into a pile of hammered tears.. Intervention.. That’s what are friends for.. Here we see a distraught Tori Spelling the moment she learns she’s headed for rehab.. That is, IF she agreed to go get help. If her looks are any indication, we would suggest treatment STAT. Dean McDermott smartly chose a huge news day to check himself into rehab. McDermott admitted he has some big personal problems on a real big news day with the arrest of singer, Justin Bieber, guaranteeing himself the most minimal of press coverage. TORI Spelling HIDING $300M FORTUNE From Hubby Dean McDermott? 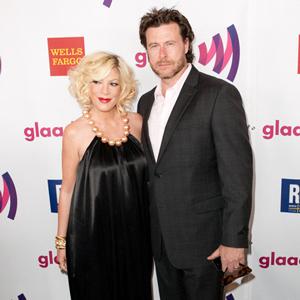 TORI Spelling and Dean McDermott failed to lock-in a prenup, according to a report by RadarOnline. Candy Spelling, who is Tori Spelling’s Mother, and widowed wife of TV legend Aaron Spelling, said some awful stuff about Tori on a Massachusetts radio show yesterday. Since Aaron’s death in 2006, Candy has been battling their daughter Tori over various differences that are obviously not solved. Over the last few years since Aaron’s death, Candy has really stuck the knife in the table by badmouthing Tori for everything from Aaron’s decision to give Tori a smaller inheritance, to Tori’s decision to ‘not let Candy meet her own grandchildren’. Well, this time Candy pulled the knife out of the table, and now, she’s stuck the knife in her own daughter’s heart.